In our common lexicon, we often refer to any film made outside of the United States as a “foreign” film. But this definition can be somewhat misleading, implying a certain “otherness” that deters audiences. 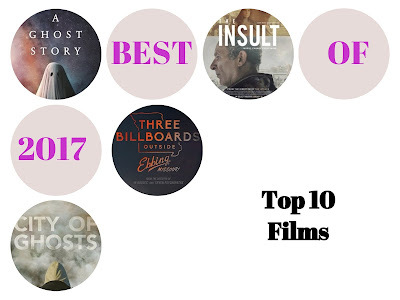 As 2017’s best non-English language films proved however, many of the themes found in the year’s most celebrated English films are universal. Whether it be a an LGBT coming-of-age experience or a woman seeking justice for the murder of her child, the similarities are truly striking. But what is even more noteworthy about these films are there exemplary quality. World cinema is indeed the gift that keeps on giving. As we anticipate another wonderful year of cinema, here are 10 such gems worth seeking out, as I present my Top 10 Foreign Language Films of 2017. “It was the best of times, it was the worst of times,” is a famous quote from Charles Dickens’ A Tale of Two Cities that refers to the social climate of 18th century Paris and London. It’s a quote that can also be easily applied to today’s world. While there seems to be no end in sight for mankind’s obsession with war and destruction on Earth, there are also many extraordinary individuals dedicated to making the world a better place. This year’s fine crop of documentary films offers a vivid reflection of this juxtaposition within humanity, drawing our attention to some of the most urgent social issues and inspiring people. From the crises in Syria to the work of activists like Jane Goodall, the subjects covered by this year’s non-fiction filmmakers were diverse and unforgettable. They prove that the medium is as important and impactful as ever. With an increasing number of documentaries being produced each year, it’s almost impossible to watch all the films worthy of consideration. But based on my own efforts, here are my recommendations for 2017’s best in non-fiction film. Well, another Oscar morning has come and gone, bringing another list full of surprises. While "The Shape of Water", "Dunkirk" and "Three Billboards Outside Ebbing, Missouri" were the expected leaders among the nominees, it was "Phantom Thread" that turned the most heads with its impressive 6 nominees, notably grabbing unexpected slots in Best Picture and Best Director. The race is far from over. In terms of our collective predictions for this year's Film Actually Oscar Contest, none of us anticipated the nods for "Kong: Skull Island" in Visual Effects, "Victoria & Abdul" in Makeup & Hairstyling and the aforementioned directing nomination for Paul Thomas Anderson. But otherwise, there were several strong showings this year and a new champion. John therefore wins the top prize of a $50 Amazon gift card. Congratulations! Trevor for predicting "Abacus: Small Enough to Jail" for Best Documentary Feature. And that's a wrap! Thanks again for playing and I hope to see you all again next year. N.B. - A "1" indicates your prediction. If you predict correctly, you keep the point. If not, then you get 0. In Best Picture, you get -1 for every wrong prediction. Once the nominations have been announced, the official results will be posted shortly after. People often say love is strange, but Hungarian filmmaker Ildikó Enyedi takes it to a whole new level. In her latest film “On Body and Soul,” a pair of slaughterhouse co-workers strike up a romantic connection in their dreams, where they meet as deer in a forest. But to make things even more peculiar, these two individuals can barely even hold a conversation in their waking life. It’s a tough foundation on which to base a love story, but Enyedi somehow pulls it off. 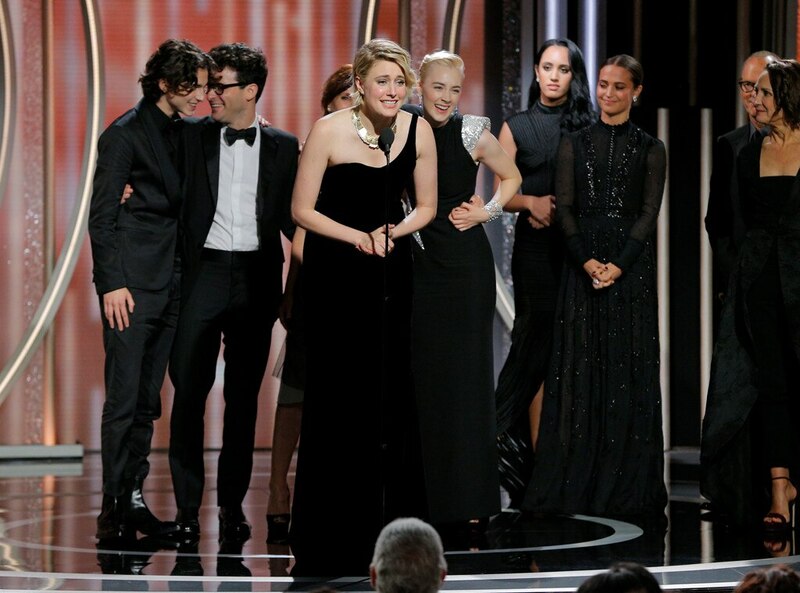 In a recent interview, Enyedi discussed the process of crafting this atypical romance, as well as her own surprise at the film’s warm reception by audiences and Oscar voters. Below is an edited version of our conversation. Cinematic romance is often remembered for grand gestures. A passionate kiss in the rain, a last-gasp chase at the airport, a profound declaration of love. But there are others like “In Mood for Love” which take a more restrained approach. Ildikó Enyedi’s “On Body and Soul” falls into the latter camp, telling a unique story that portrays love on a mystical level. Ask Ziad Doueiri and he will tell you that he doesn’t make political films. But when you see his latest effort “The Insult” there’s no denying a politically engaged voice behind his filmmaking. Despite controversy surrounding his previous film (which even lead to his arrest), Doueiri continues to fearlessly spotlight unpleasant sociopolitical tensions in the Middle East with this gripping courtroom drama. Recently, I spoke to Doueiri to learn more about the background behind “The Insult” and its significance. In our interview, he was very candid about how his personal experiences with censorship and politics affected the film. Below is an edited version of our discussion. Ziad Doueiri’s “The Insult," one of 9 films shortlisted for the Foreign Language Oscar, begins with a seemingly trivial altercation. A man named Yasser (Kamel El Basha) is tasked with fixing building code violations in a Lebanese community. One day at work, he is doused by a overhead drainpipe, which is illegally protruding from the home of a man named Tony (Adel Karam). Yasser informs Tony of the violation and asks him to fix the problem, but Tony refuses. Feeling an obligation to do his job, Yasser decides to fix the pipe without permission, which offends Tony and aggravates him to destroy the new installation. Now both men feel insulted, exchanging inflammatory words. All of this could be solved with an apology – which is what Tony requests – but of course, it’s not that simple. Depicting an important topic we don’t often think about, “The Silent Child” is one of the most poignant and meaningful of this year’s shortlisted films for the Best Live Action Short Oscar. This tender-hearted drama is directed by Chris Overton, based on a story written by his fiancé Rachel Shenton, who also stars in the film. Shenton plays a social worker named Joanne, who takes a keen interest in the deaf child of middle class family and teaches her how to communicate. As their relationship grows, both Joanne and Libby’s lives are changed for the better. Recently I had the pleasure to speak to Overton, as we discussed his tender approach to the story and the importance of its commonly neglected message. If your think shorts can’t be as powerful as feature-length films, then you probably haven’t seen “Watu Wote: All of us“. Based on a true story, this Oscar-shortlisted drama follows the harrowing experience of a group of bus passengers in 2015 Kenya, where tensions between Christians and Muslims are at an all-time high. As “Watu Wote: All of us” unfolds, the reason for this disharmony is revealed with palpable intensity, as a terrorist group attempts an attack. But what happens next comes as a surprise to both the terrorists and the audience. I recently caught up with director Katja Bentrah via phone, as we discussed how she turned this amazing story into an award-winning film. Below is an edited version of that interview. Awards season train is charging right along as we head to our next major stop - the Critics Choice Awards. 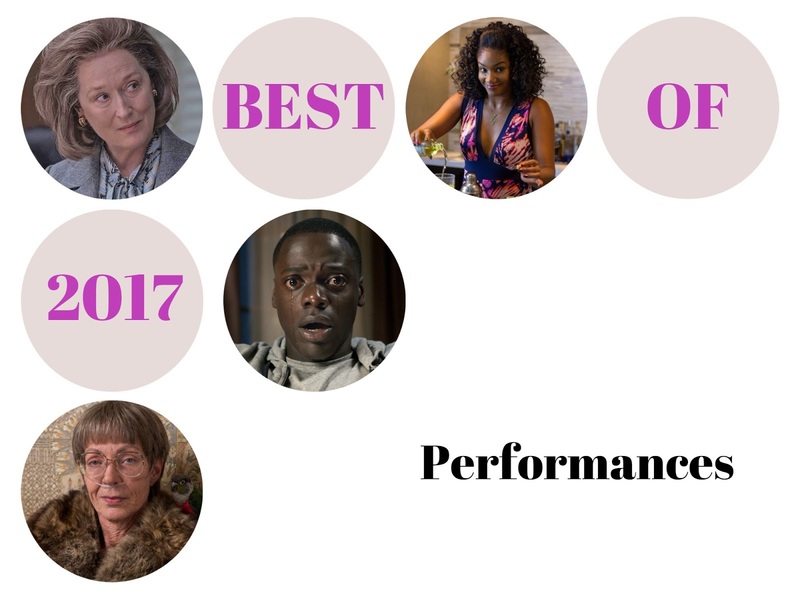 "The Shape of Water" leads all films in terms of nominations, but will it come out on top? Here are my predictions for tomorrow night's show. The Golden Globe Awards are tomorrow and I fully admit that I have no idea who's going to win. But that makes it all the more exciting, right? Here's my stab at predicting these awards, which will be handed out during their annual ceremony starting at 8pm EST and hosted by Seth Meyers. 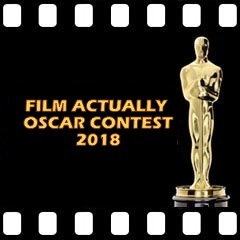 A new year has begun and that means it's time for another edition of the Film Actually Oscar Contest! As always, I anticipate a fun, friendly competition as we compete for bragging rights (and prizes, of course) as the best predictor of the Oscar nominations. The top prize will once again be a $50 gift card (USD, or the equivalent in another currency) for the Amazon store of your choice (US, UK, Canada etc). In addition, there are other bonus prizes up for grabs (read below). 1. This contest is open to any interested bloggers. 2. To register: fill out the entry form below by 6PM US Eastern Time on January 21st, 2018. 3. To submit your predictions: send me (via twitter or email) a link to your blog post with your FINAL predictions. I will then save your predictions and enter them into my spreadsheet. Your predictions are due by 6PM US Eastern Time on January 22nd, 2018. Absolutely no changes to your predictions will be accepted after they have been submitted. Each correct prediction will earn you 1 point. However, in the Best Picture category, every wrong prediction will lose you 1 point. With the current rules for this category (anywhere between 5-10 nominees), this will force you to choose wisely! 1. The person with the highest score will receive a $50 online gift card (USD or the equivalent in another currency) for their relevant Amazon store (US, UK, Canada etc.). 2. In the event of a tie, the winner will be the person who scores highest in the Best Picture category. If there's still a tie, we'll go to Best Director and further down the list (in the order above) until the tie is broken. The loser of the tie will receive a DVD/Blu-ray of one of last year's Best Picture nominees (your choice). 3. 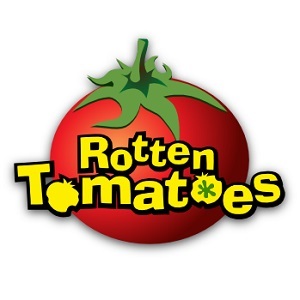 Anyone who is the only person to predict a particular nomination correctly will receive a DVD/Blu-ray of one of last year's Best Picture nominees (your choice).